Cairn India chief executive Sudhir Mathur has resigned from the company, the fourth CEO to quit the firm since it was taken over by mining billionaire Anil Agarwal-led Vedanta Groupseven years back. Along with Mathur, Pankaj Kalra, the chief financial officer of Cairn India, which is now a part of Vedanta Ltd after its merger with the parent, has also resigned, sources privy to the development said. Mathur resigned about a month back and his resignation was made public only last week, the sources said. He is currently serving notice period which is technically up to May-end, but may leave the company by the end of April. Kalra quit a couple of months back. Prior to these resignations, Suniti Bhat, Director Oil & Gas and Member – Executive Committee at the company, resigned about six months back which was followed by the firm's chief internal audit and risk assurance director Arup Chakraborty quitting the company. A company spokesperson confirming the resignations said: "Such movements in management are part of natural evolution in any organization, and are in line with career aspirations and personal priorities of individuals. "Having a strong and healthy leadership pipeline is the key in a high growth organisation like ours. We want to emphasise here that these movements are unconnected and have been spread over a period of time." Mathur did not answer phone calls made to seek his comments. Mathur, 58, joined Cairn India in January 2013 and was named interim CEO when Mayank Ashar resigned as the chief executive of the company in May 2016. He continued as interim CEO till the time Cairn India remained a separate listed company under Vedanta Ltd. He was elevated as chief executive officer of oil and gas business at Vedanta Ltd last year when Cairn India was merged with its parent Vedanta Ltd. They felt Vedanta had over-committed itself to not so prospective blocks and with a limited team. Mathur is the fourth CEO to have quit the company since Vedanta completed the acquisition of Cairn India in December 2011. Rahul Dhir, the company's first CEO who oversaw its listing and development of India's biggest oil discovery in Rajasthan, quit the company in August 2012. His successor P Elango resigned in May 2014, while the third CEO Mayank Ashar resigned in May 2016. Elango's exit in 2014 had completed the exodus of the entire top management of Cairn India since Vedanta announced its intention in 2010 to buy a majority stake in the company from Scottish explorer Cairn Energy Plc. Rick Bott, who was the executive director and the chief operating officer of Cairn India, quit on June 15, 2011. Indrajit Banerjee, executive director and chief financial officer, resigned with effect from August 23, 2011. David Ginger, Cairn India's director of exploration and new ventures, quit shortly after that. Dhir put in his paper after the Cairn-Vedanta deal was completed. Director, Commercial and New Business Ajay Gupta quit the firm in January 2013. In February 2014, Sundeep Bhandari, the man credited with laying the foundation and then building what is now Cairn India, quit the company. He along with Dhir, Bott, Banerjee and Ginger ran the firm before Vedanta took over. 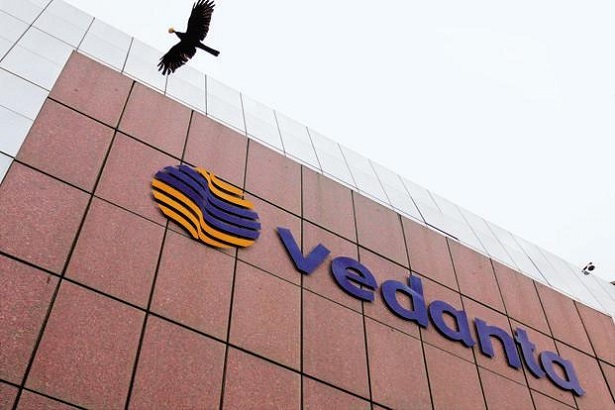 Vedanta had bought 58.8 per cent stake in Cairn India from British explorer Cairn Energy for USD 8.67 billion in August 2010 and the acquisition was completed in December 2011. In April 2017, Cairn India was merged with Vedanta and delisted from the stock exchanges.